These days, a lot of users choose to downgrade their devices from one iOS version to another. For instance, if you are not happy with iOS 12 or it has made your device even slower, then you might choose to downgrade it to a previous stable version. Sadly, while downgrading your device, your phone might get stuck in between. A while back, I did the same and the iOS 12 downgrade got stuck in recovery mode. This made me explore some quick solutions to fix the iOS 12 downgrade stuck issue. For your convenience, I have handpicked the 3 best solutions here. 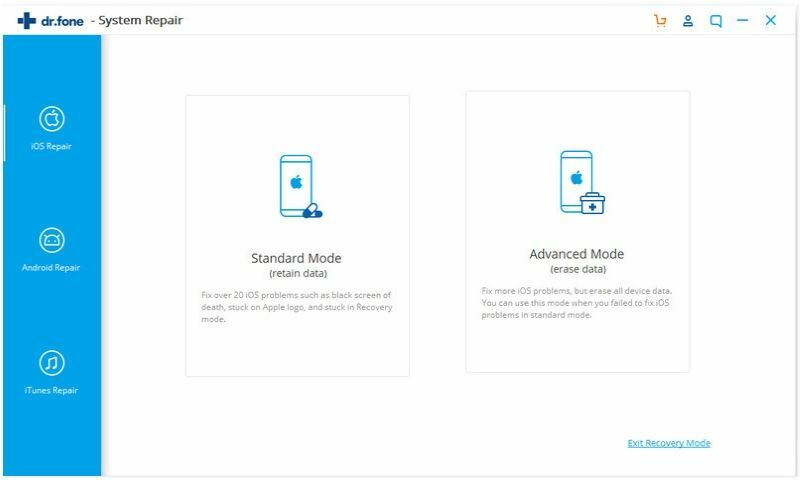 While downgrading your iPhone from iOS 12 to 11, your device might get stuck on the Apple logo, recovery mode, or DFU mode. The good news is that you can fix the iOS 12 downgrade stuck problem without experiencing any data loss. Yes – you have read it right. To fix your device, just take the assistance of iSkysoft Toolbox – iOS System Recovery. The application can fix all the common issues related to an iOS device, like stuck in recovery mode, reboot loop, the screen of death, bricked device, numerous iTunes errors, and so much more. 1. 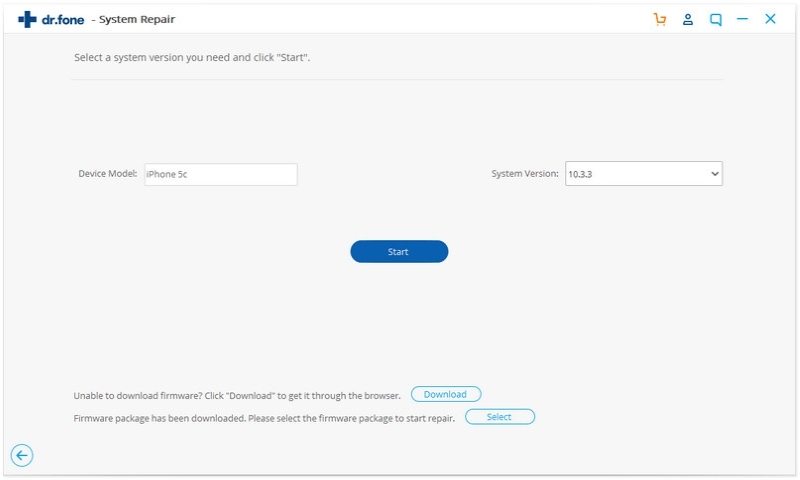 Install iSkysoft Toolbox – iOS System Recovery on your Mac or Windows PC and launch it whenever you wish to fix the iOS 12 downgrade stuck issue. From its home, go to the “System Recovery” section. 2. Using an authentic lightning cable, connect your malfunctioning iOS device to the system. The application will automatically detect your device. Once it is done, click on the “Start” button. 3. On the next window, you can see basic details regarding your device that would automatically be fetched by the application. You can verify these details and click on the “Download” button to proceed. 4. Wait for a while as this will make the application download the latest stable firmware update related to your iOS device. Since the size of the file can be big, we recommend having a stable and fast internet connection. 5. 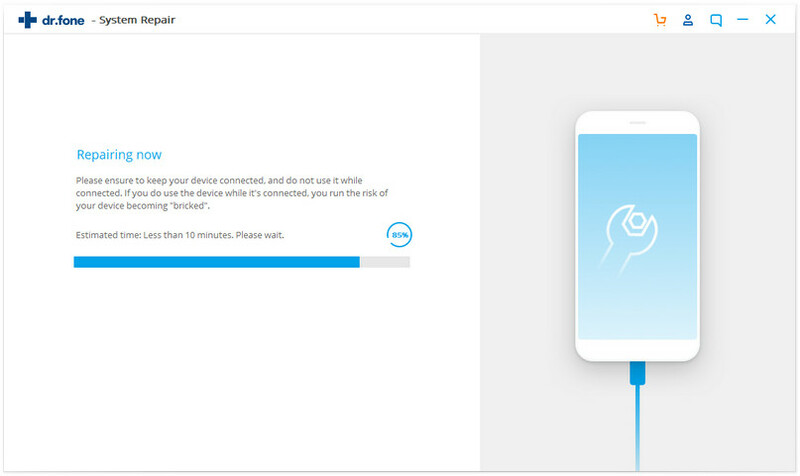 Once the firmware update has been downloaded, the application will automatically start fixing your device. It will repair your phone and update it at the same time. 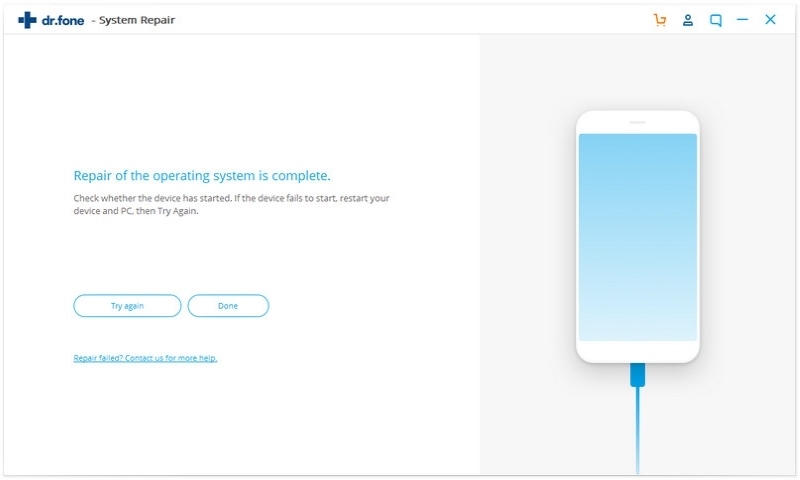 Just make sure that your device is connected to the system till the process is completed. 6. Your phone might be restarted in the process. 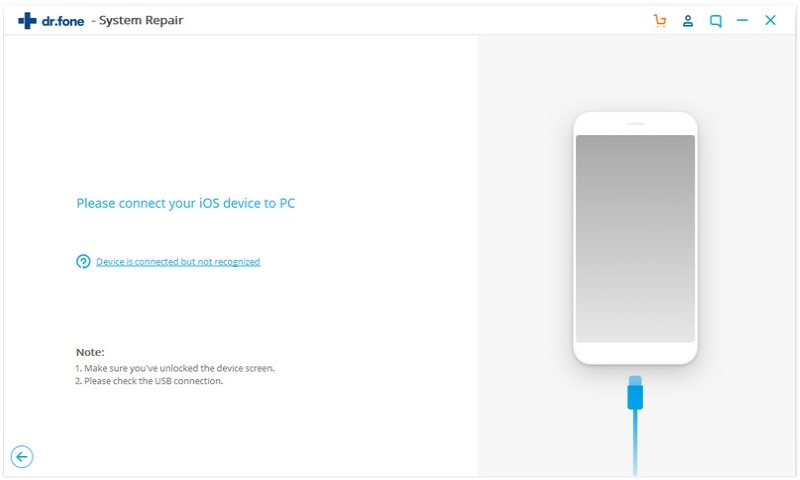 Unlock it after it restarts so that the application can repair your phone completely. In the end, you will be notified of the same so that you can remove your device safely. 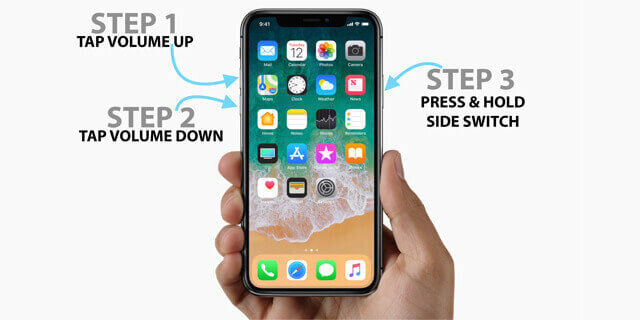 By following this simple click-through process, you would be able to fix iOS 12 downgrade stuck in DFU mode, recovery mode, or Apple logo. Needless to say, your device would be updated to the latest stable firmware available. Also, the process will automatically restore a jailbroken or unlocked device to its original stable format. Though, all the saved content on your phone would be retained in the process. Sometimes, even a simple trick can fix a serious technical glitch in iOS devices. Before you take any drastic measure to resolve the iOS 12 downgrade stuck in recovery mode/DFU mode/Apple logo, I would recommend force-restarting your device. A force-restart is a bit different than the usual restarting process. It will reset the present power cycle of your phone and would most likely restart it to the normal mode. Since you can’t restart your phone the usual way when it is stuck in recovery or DFU mode, this seems like an ideal solution. It won’t erase the existing data on your device as well or harm it in any way. 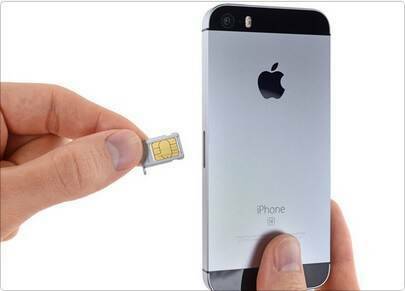 Just make sure you press the correct key combinations as they are different for various iPhone models. Firstly, quick-press the Volume Up button. That is, press it for a second or less and release it quickly. Without waiting anymore, quick-press the Volume Down button as well. Subsequently, press the Side button and keep holding it for the next 10 seconds at least. Release it once you see the Apple logo on the screen. Press and hold the Power (wake/sleep) button. While still holding the Power button, press and hold the Volume Down key. Keep holding both the buttons simultaneously for another 10 seconds. Let go of them once your phone restarts. Press the Power (wake/sleep) as well as the Home button at the same time. Make sure that you press them for at least 10 seconds. 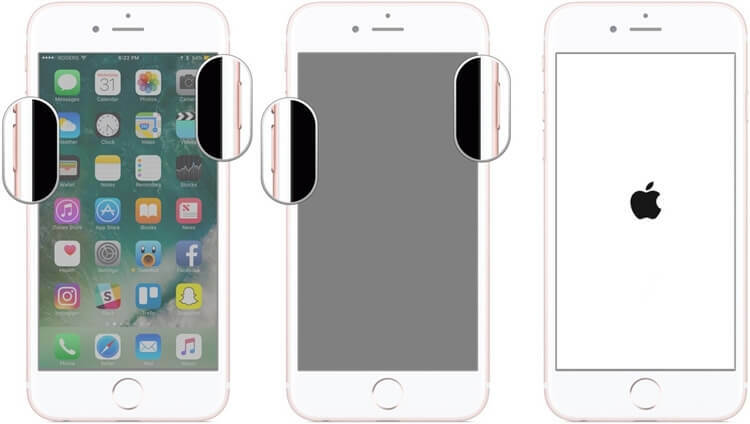 Keep pressing them and release them as the Apple logo would appear on the screen. If you are lucky, then this simple trick will fix the iOS 12 downgrade stuck on Apple logo/DFU mode/recovery mode in a few seconds. Another way to fix the iOS 12 downgrade stuck on DFU mode/recovery mode/Apple logo is by taking the assistance of iTunes. It is the native application of Apple and can help us fix numerous kinds of issues related to our iOS device. Though, you should know that this method will restore your device in the end. Hence, all the saved data and settings will be erased from your phone. Therefore, it is often considered as a last resort. 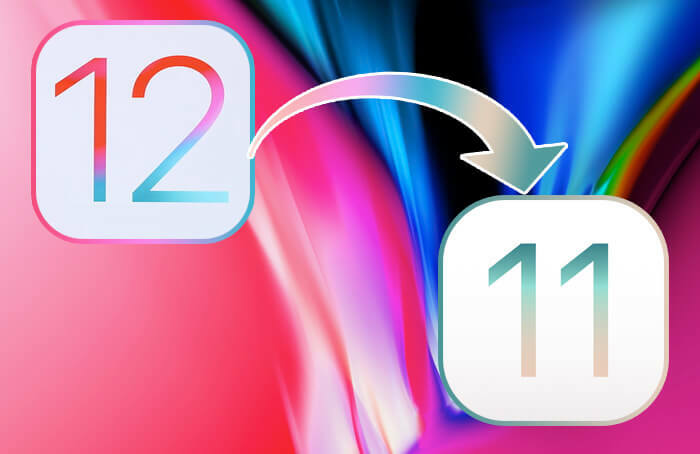 If you are ready to lose your saved data, then follow these steps to fix iOS 12 downgrade stuck by using iTunes. 1. Launch an updated version of iTunes on your Mac or Windows PC. If you haven’t updated iTunes in a while, then go to its menu and check for updates. 2. Connect your iOS device to the system using an authentic lightning cable and let iTunes detect it automatically. 3. In no time, iTunes will detect that there is an issue with your device and would display the following prompt. Click on the “Restore” button to proceed. 4. If iTunes won’t display the prompt, then select your device, and go to its Summary. Click on the “Restore iPhone” button here. 5. 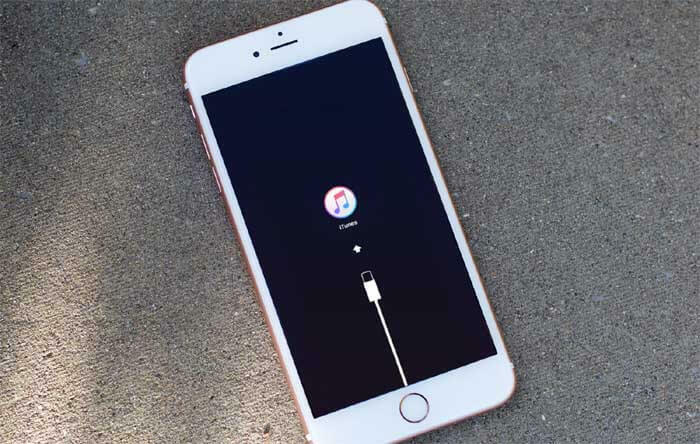 Simply follow the basic on-screen instructions as iTunes would reset your device entirely and restarts it in the normal mode. 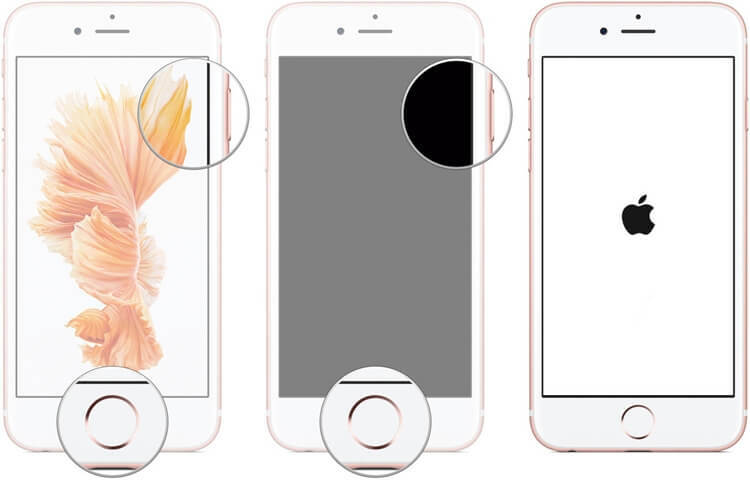 By following these 3 basic solutions, you would easily be able to fix the iOS 12 downgrade stuck on Apple logo/DFU mode/recovery mode. Out of all the solutions, iSkysoft Toolbox – iOS System Recovery is the most recommended choice and is even used by the leading experts. The tool would fix all the major issues with your device without causing any data loss. This makes it an essential software that you should keep handy. You never know, it might end up fixing any unwanted issue with your phone in the future too!